As the old saying goes, you can bring a horse to water, but you can’t make him drink. Plenty of online marketers and small business owners are finding this to the case when they send traffic to their websites. You can lead someone right to your web page, but you can’t make him click links, subscribe to a mailing, buy a product, or take any other action. One of the main problems facing online marketers is that they’re competing for their visitor’s attention. Even when a visitor lands on their page, that visitor is already thinking about where they want to go next. The marketer only has a few seconds to capture attention – and if it doesn’t happen, the visitor clicks away and is gone forever. That’s where marketers and software developers Simon Hodgkinson and Jeremy Gislason come in. They created a web-based app called Conversion Gorilla, which uses psychological principles to capture the visitor’s attention and then persuade that visitor to take action. Conversion Gorilla works by letting website owners capture their visitors’ attention through the proven tactic of installing eye-catching notification bars (AKA attention bars) on a web page. Users can install create bars of different sizes, install the bars in different places on a website, and decide when and how the bar will appear. Conversion Gorilla also lets users install a countdown timer within this notification bar. That means that marketers can grab attention for a flash sale, product launch, bonus offer or anything else – and then get a high response due to the proven conversion-boosting power and urgency that a countdown timer creates. 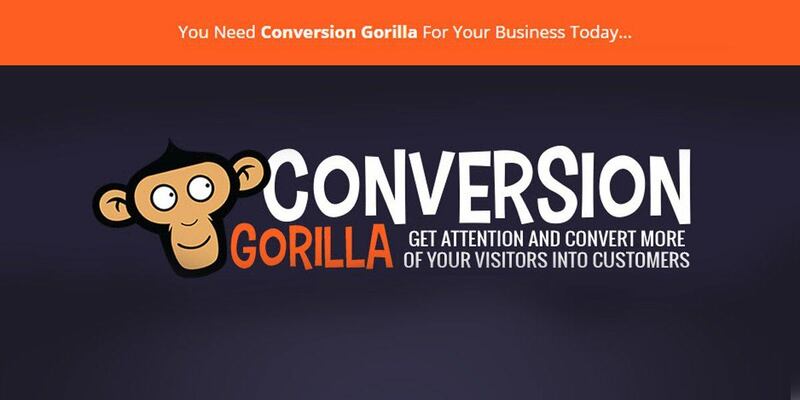 To learn more about the Conversion Gorilla app and how it helps online marketers, affiliates and other small business owners experience more rapid business growth, go to www.conversiongorilla.com. For more info on this topic and how Conversion Gorilla can help you get some serious viral traffic, check out our post “The 7 Secrets of Boosting Conversions and Sales” And do it now, because you will want to get in on this!